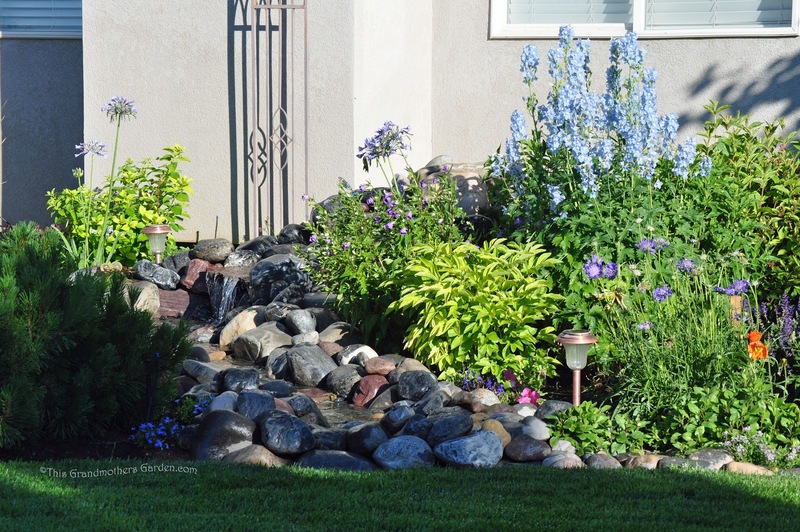 Water features can be designed to fit almost anywhere in the home garden. opting simply for a disappearing waterfall. 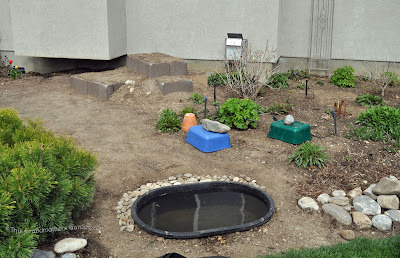 Previous experience with a pond convinced us that pond upkeep was more than we cared for, and besides, it was the sound of falling water that we were seeking. There are a myriad of design choices for a disappearing waterfall. and just build the waterfall right on top of the catch basin. The end of the Stream... where does the water go? 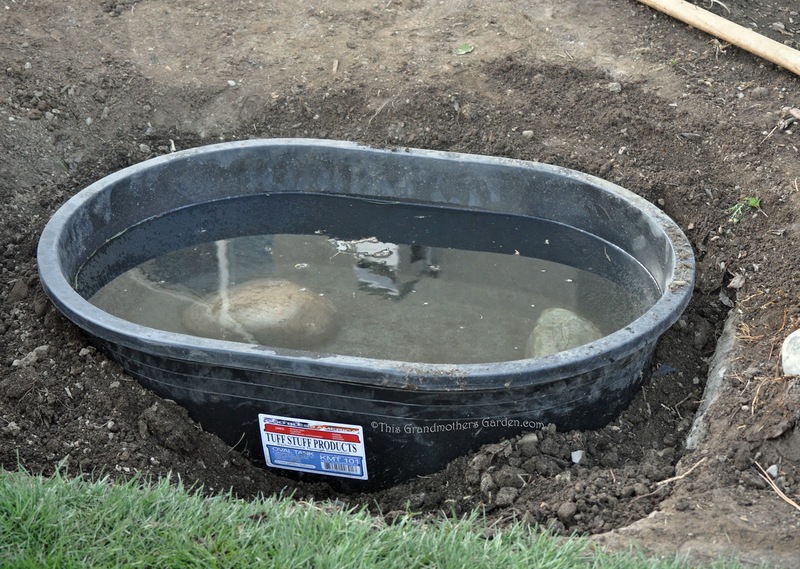 how much water your waterfall catch basin will need to hold. For assistance here, we visited a very helpful website. The waterfall basin calculator takes into account the projected length, width and water depth of the waterfall and of the stream, and calculates the volume of the waterfall basin in gallons. You will need a basin that can hold all of the water in your system when you turn off the pump as all the water will flow down into this basin. 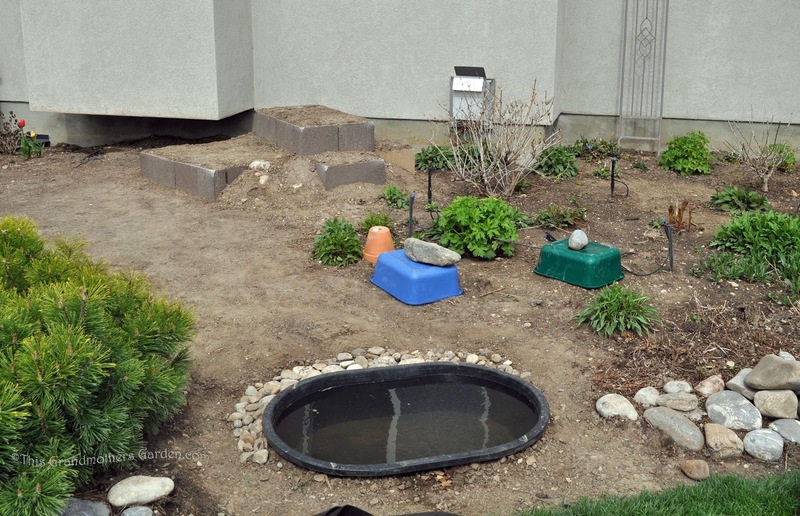 This site does the calculations for you to determine the size of your catch basin. 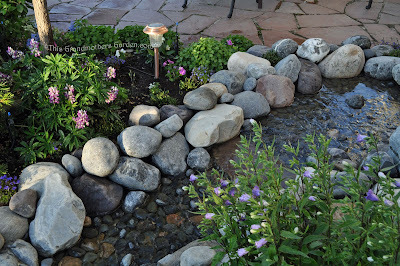 Once you have determined the size of the basin, you could, of course, purchase a waterfall kit that includes the basin, but we found the kits to be rather pricey and as we are always on the lookout to complete a project with the least amount of money, we went on a hunt to find just the right basin. 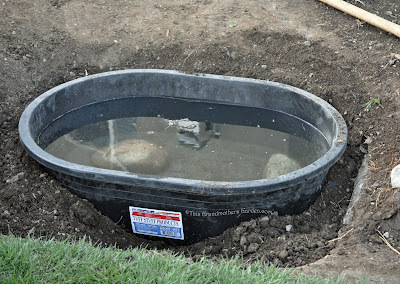 We found a very suitable and sturdy basin at the local farm supply store for a fraction of the cost—a 40 gallon Rubbermaid horse watering trough. This was just the right size and shape for our waterfall. at the end of where our stream would be. Can you see the path where our stream will lay? on how to select the right pump for your waterfall. This is a series of posts on how we built our waterfall. This is so interesting! I appreciate the link for calculating the size of the basin. I would have never known to do all of these things. I have a friend who has a pond, and she and her husband enjoy it. However, it does seem like less upkeep to opt for the waterfall and stream as you have. This will be an ongoing discussion I will be having with my hubby. Wow, this is very helpful. Now if I actually add a water feature, I'll know how to construct it. Thanks! Wow, what a cool addition to your garden. I love the sound of water...it is so peaceful and relaxing. Can't wait to see your finished product. Fascinating and I enjoy the design..